Welcome to the Sound Chamber Recording Studio of Modesto, California. 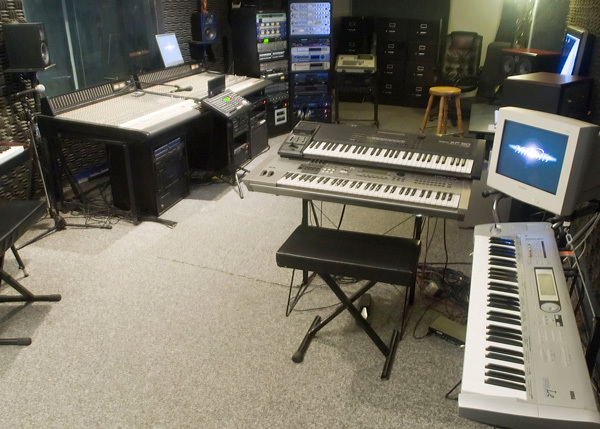 We have been a full-service recording studio since 1990 providing recording services to Solo Artists & Composers, Christian Contemporary Artists, Rock Bands, Classical Groups, Rap and Hip Hop Groups, Country Artists, Karaoke Singers, Choirs and more. We also specialize in music development and production for Folk, Jazz, Blues, Alternative, and all forms of Rock Bands. Additionally, we produce Radio and Television commercials, voice-overs, etc. For all you home recording enthusiasts with ProTools LE, we now offer ProTools High Definition, Mixing & Mastering utilizing the latest hign-end, HD plug-ins from Waves, Antares, TC Electronics and much more. Sound Chamber Recording has helped to produce hundreds of artists over the years including: Lincoln Brewster, Shane Minor, Carol Channing, Shelley Streeter, Be Legit, Spice 1, Flying Blind, Evan Agassi, Megan Slankard, James Blonde, Chris Clouse, Ann Loureiro, Brandon Davis, Vinnie Smith, John Wyatt, Allysa Popin, John Wilkerson, Nikki Leigh and numerous other local original bands and artists from the greater Central Valley. Sound Chamber Recording features a fine tuned collection of both Digital and Analog high-end recording equipment. We are also equipped with many fine instruments available to clients while recording: Sonar with DW Drum Kit, Akai MPC 60 Drum Machine, Yamaha Motif, Roland and Korg Keyboards, Fender, Gibson, Yamaha, Taylor and Ibanez Guitars, Guitar and Bass Amp Rigs and more. Sound Chamber Recording Studio's style and techniques enable us to capture the most sought after tone while delivering unsurpassed performances through each stage of the recording process, with a focus on sonic performance built from the highest quality components. Each circuit is tested and refined until a pristine quality signal path is achieved without compromising the end result: recordings that Sound Great, but won't break your budget. Call today for tour of the studio 209-529-0374.